As of today it’s officially October (and my husband’s and my 7 year wedding anniversary; awww), and that means I’ve officially got Halloween costumes on the mind. 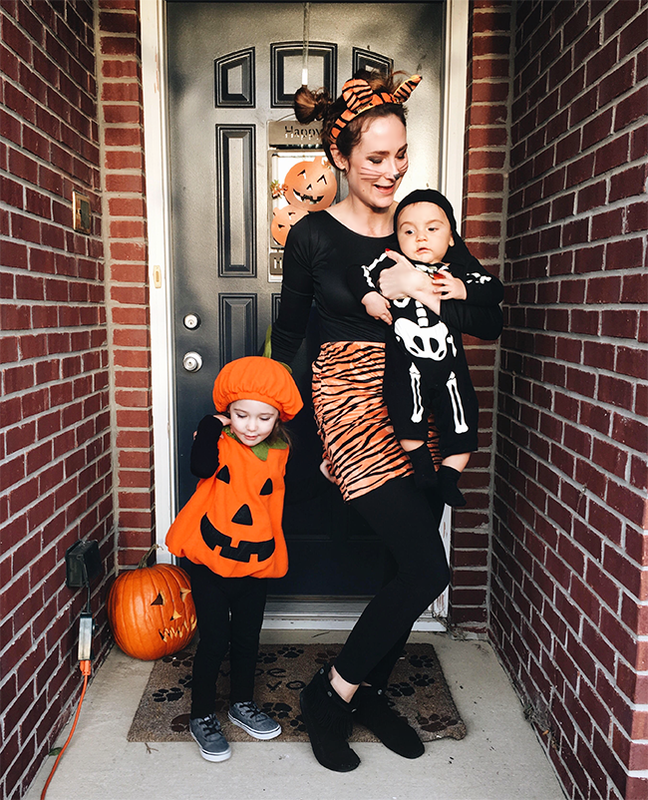 I’ve mentioned before that I’m a sucker for old fashioned Halloween costume ideas for the little ones (and for adults, too). Famous characters and complicated costumes are awesome in their own right, but for me, there is just something about a simple, classic costume. I remember dressing up as Little Bo Peep in a pink gingham dress and bonnet my mom made, with a cane crafted my dad, carrying a sheep toy, and thinking at the time that it was the fanciest costumer ever. That same year my best friend wore a sheet over her head with a little ribbon tied around the neck as a ghost. And my sister wore a simple black fabric bat costume. And in my mind, that is Halloween. Those kinds of minimal, timeless costumes are so endearing to me. Two years ago, Essley asked to be a pumpkin (as seen in the photos above). I found her this affordable but incredibly well made pumpkin costume, and just loved how sweet she looked wearing. Emmett actually asked to be a pumpkin this year, so unless he changes his mind (which in reality is pretty likely), he’ll wear it this Halloween. 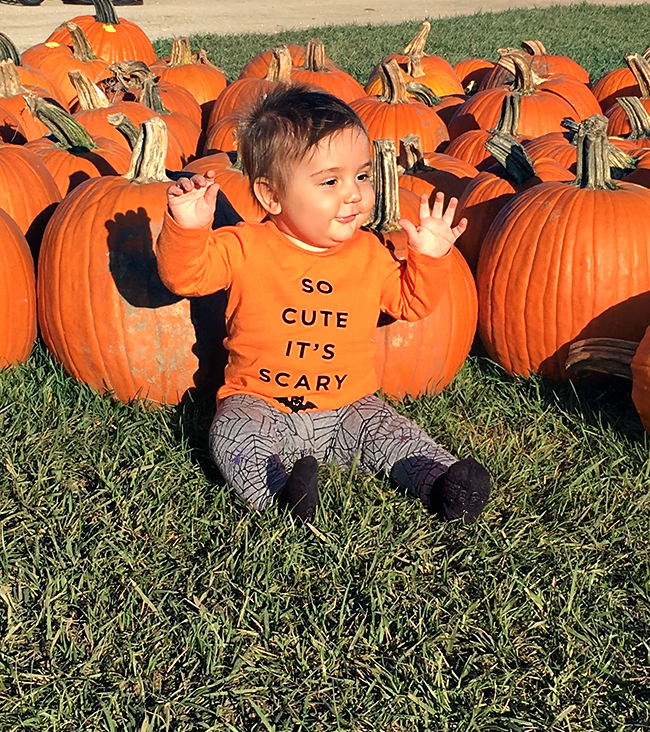 That same year Essley was a pumpkin, he wore a pair of simple skeleton pajamas (here’s a similar set for $ 15) and a black baby beanie. So cute. 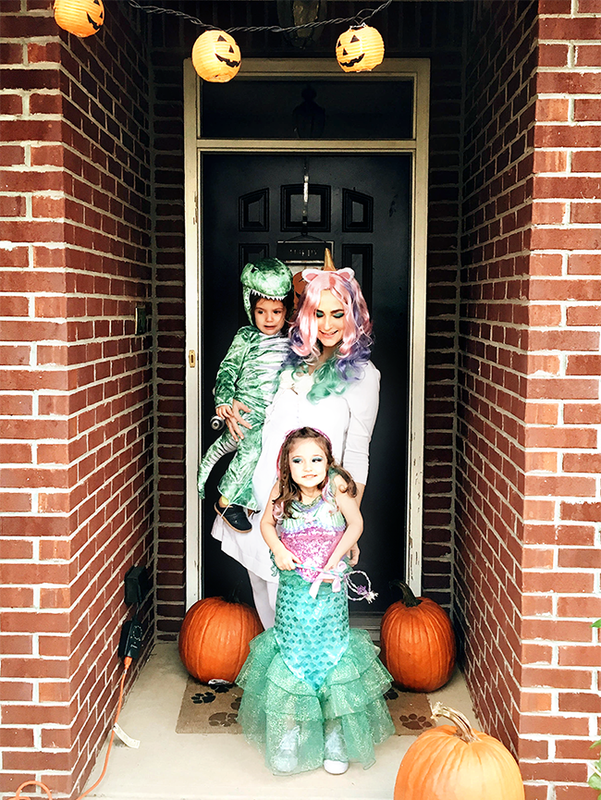 Essley’s costume last year was definitely fancier than the year before (note the very sparkly mermaid above), but a mermaid costume – even a glittery one – is still pretty timeless. And I just loved Emmett’s dinosaur costume last year. This year, Essley wants to be a butterfly – specifically “the queen of all the butterflies.” And I might just have to pick up this adorable shark costume for Emmett, just in case the whole pumpkin thing goes awry at the last minute. All of this said, if my kids ask to be a character or buy a cheap store bought costume, I am of course all about that too. Halloween should be their holiday, and whatever makes them the happiest is what I want in terms of costumes. For now though, I’m going to appreciate the simpler, more traditional costumes they’re choosing while it lasts. If you’re like me and love a classic costume, here is a list of ideas I put together last year, with a bunch of new ideas added for this year. If you have any other classic costume ideas, I’d love to hear them! 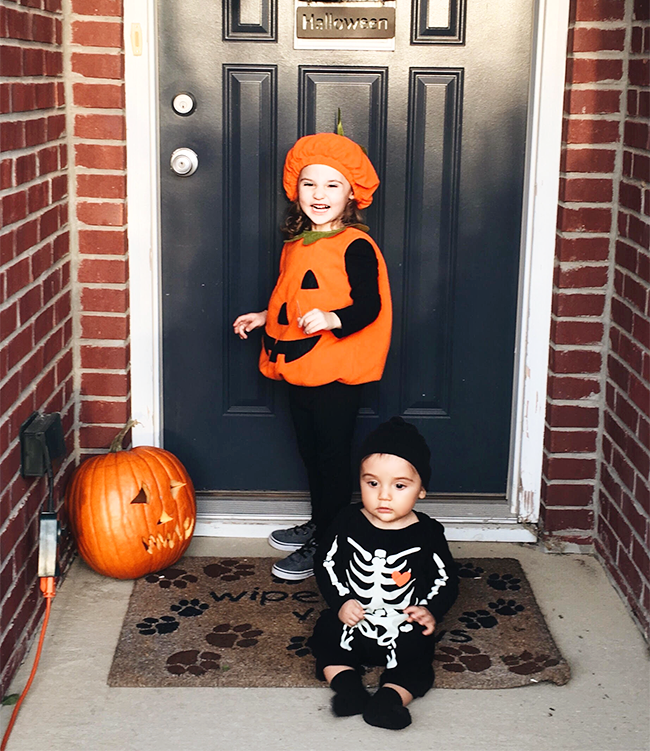 What costumes are your little ones (or you!) wearing this Halloween? We spent the weekend in northern Michigan where it was quite chilly and really felt like fall. 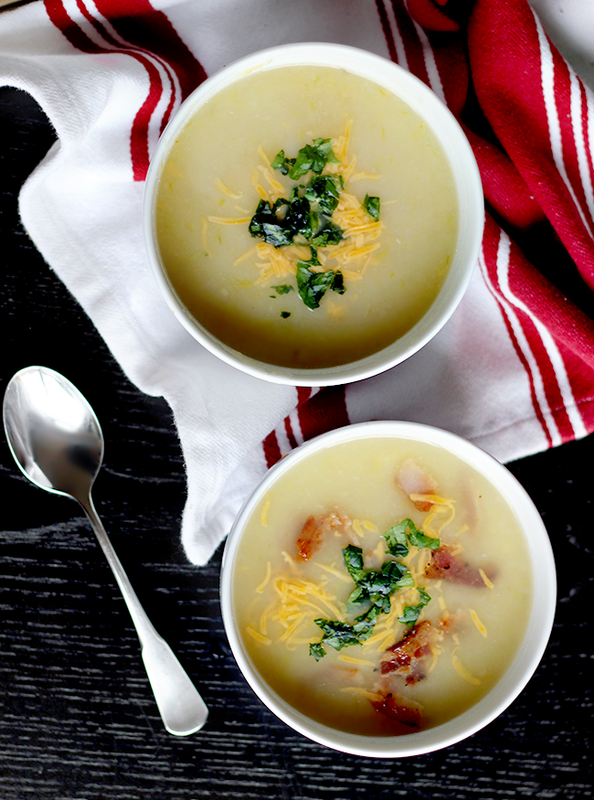 I have been craving soup since we got back and plan on making a pot tonight, so I thought I’d share four of my all-time favorite soup recipes with you. 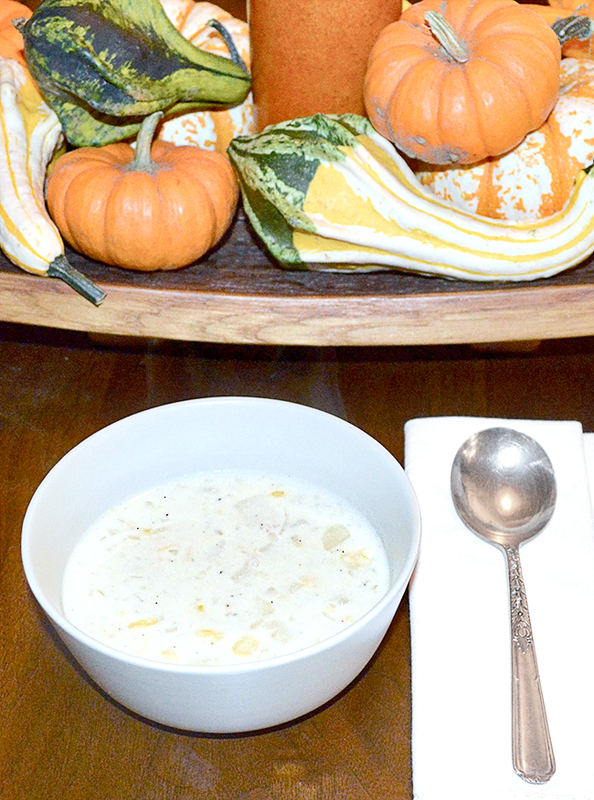 Just click on any of the images or links below them for my full recipes. 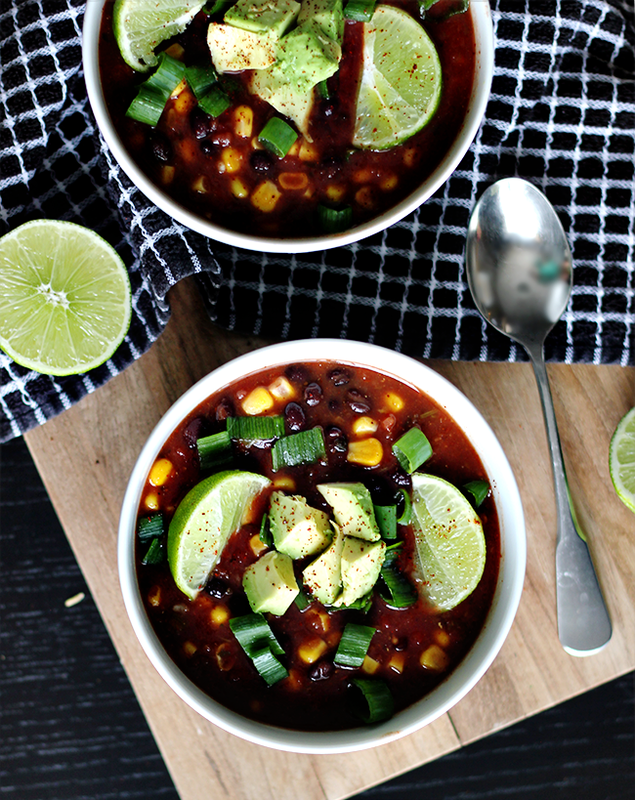 I love all of these, but my very favorite fall soup is veggie chili. 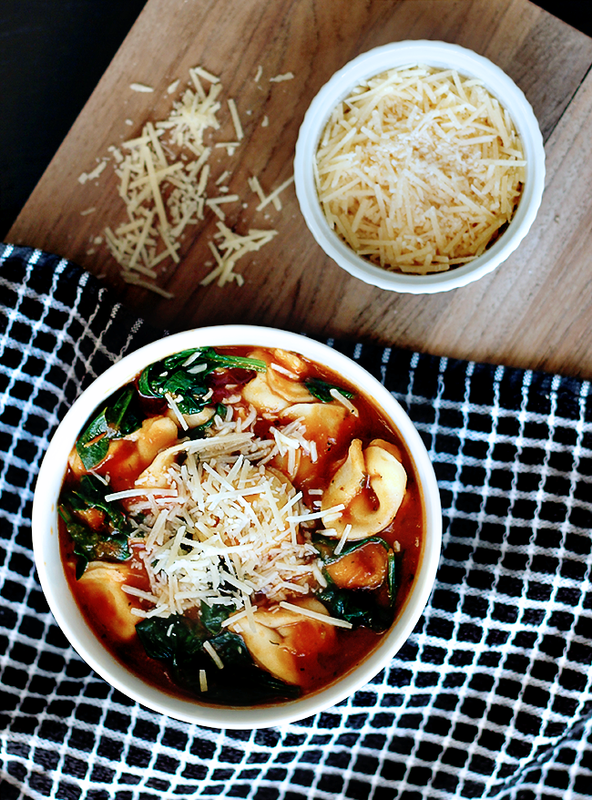 I’ll share my recipe for that soon! Quest and Anka swimming in the Ohio River on Sunday. I posted the top photo above to Instagram yesterday and decided I wanted to share it here too. 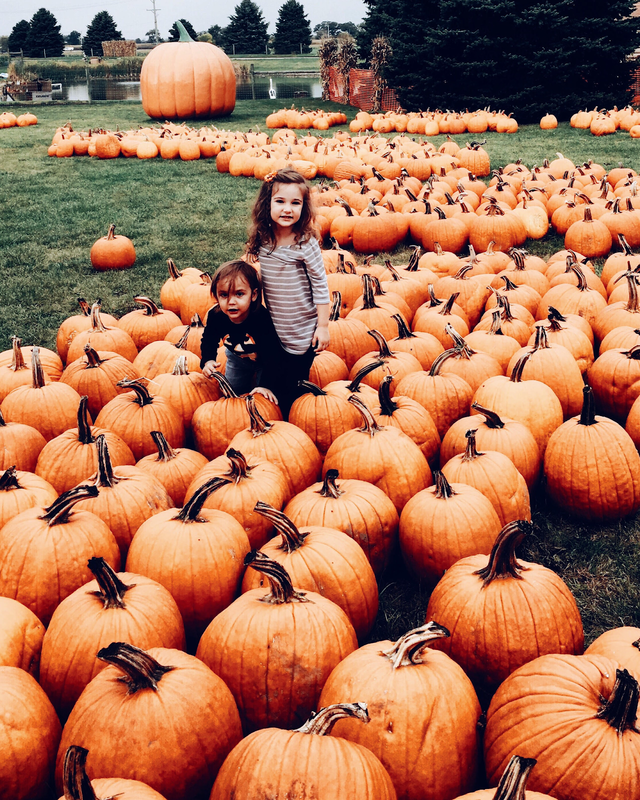 It takes a lot for me to let go of summer, but when I see my kids’ reactions to pumpkins, it’s nearly impossible to not feel a tiny bit smitten by fall. 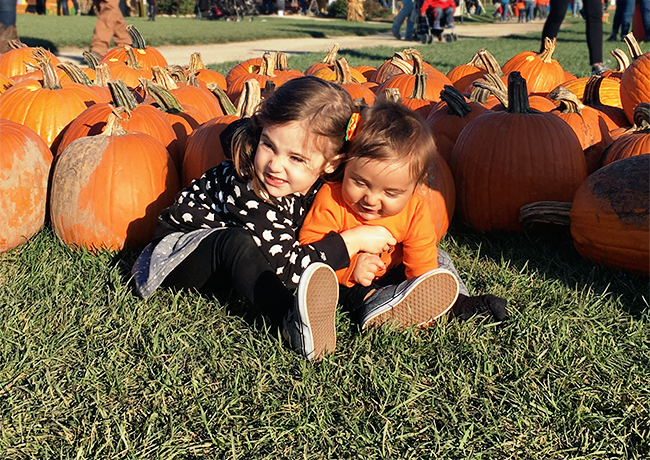 It’s also a great reminder to take a cue from my little ones and allow myself to feel pure joy over simple things. If they can feel such a thrill from an orange squash and what it represents, then I can too. 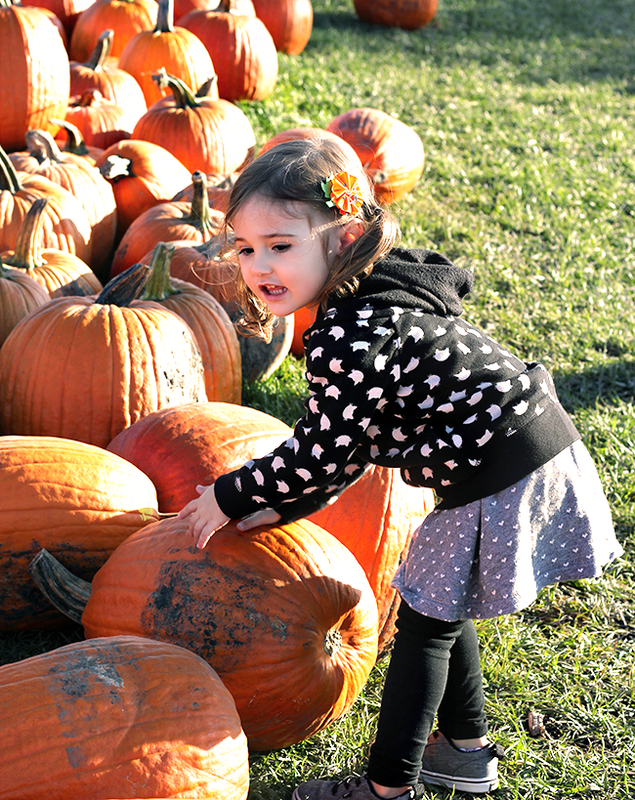 We went apple picking last weekend and the excitement they felt was, cliche or otherwise, contagious. I feel such gratitude to be able to learn from them every single day. They are truly the best teachers I’ve ever had. She didn’t even flinch, but she kept her eyes on me while they did it. She also knows her sit and down commands. This dog has nerves of steel. Are Grackles Dangerous to Your Dog?